Elisa is 18 years old and was born in Treviso, Italy where she lives with her parents Sergio and Catia. Elisa is living with Williams syndrome, a rare disease that affects around 1/20 000 births. She has a 27-year-old brother Gianluca, who she has always been very close to. He and his wife Monica have a 7-month-old daughter called Giorgia. 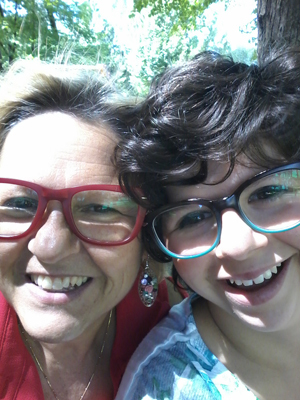 Elisa is in her fifth year at a very well established public high school—Alberghiero e Ristorazione. She follows a curriculum which is varied for each pupil according to their learning abilities. She is also assisted by a special educational needs teacher. 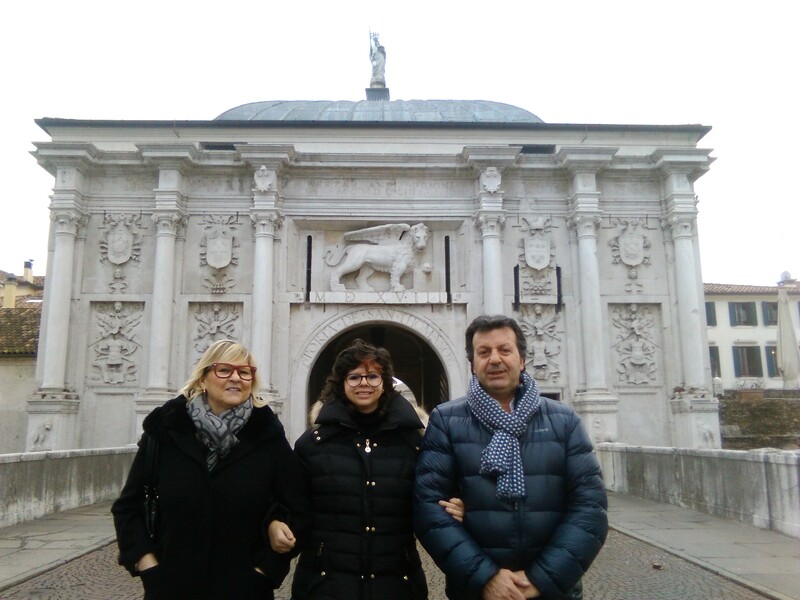 When Elisa was born at Treviso hospital, a cardiologist found that Elisa had a heart defect (supravalvular aortic stenosis) and a narrowing of the pulmonary artery (pulmonary artery stenosis), which are typical signs of Williams syndrome. The syndrome was confirmed by a special DNA examination 5 months later. In the beginning, it wasn’t easy for her parents to accept the situation, but since Elisa’s heart surgery at 8 months old to correct the narrowing of her heart vessels, they have both managed to face up to all issues surrounding her diagnosis with courage and determination. Williams syndrome is a rare genetic condition that is cause by a deletion of the elastin gene in chromosome 7. There is currently scientific research into whether there could be other deletions in adjoining genetic regions too. There are lots of physical and neuropsychological features that affect people living with the syndrome. Elisa and her loved ones do face difficulties, but Elisa has many great qualities such as her happiness, sociability, friendliness and joy that she brings to everyone she meets. She also has an aptitude for music, which is a real passion for many people living with Williams Syndrome. Elisa started playing the piano when she was about 8 years old. She plays the piano in public at events several times a year organised by the music school. These take place in many different locations, including a beautiful old villa near Treviso. Elisa has composed her own piece of music and is thinking of composing more in the future. She plays the piano all the time at home, especially when friends or family are there. Williams syndrome means that Elisa has some difficulties with manual dexterity, so she cannot write cursively or ride a bike. However she doesn’t let this stop her from playing the piano and pursuing her other passion of make-up. She would have loved to study make-up at school and even gone on to become a professional beautician. Elisa has quite a high level of personal autonomy but her parents, Sergio and Catia, believe there is still a lot to do. In Italy, families benefit from good medical and social support. Young people with Williams syndrome like Elisa often successfully finish school and are able to be relatively independent as a young adult. However, much more needs to be done in Italy, as it does for families everywhere, faced with health conditions related to rare diseases. Patient organisations all around the world help people living with a rare disease and make sure that the Patient Voice is heard. You can Join us in making the voice of rare diseases heard by participating in Rare Disease Day 2016! Check out the official 2016 Rare Disease Day video!